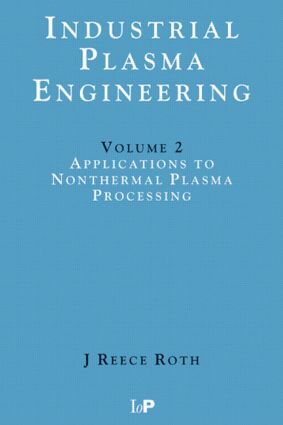 Written by a leading expert in the field, the paperback edition of Industrial Plasma Engineering, Volume 2: Applications to Nonthermal Plasma Processing provides a background in the principles and applications of low temperature, partially ionized Lorentzian plasmas that are used industrially. The book also presents a description of plasma-related processes and devices that are of commercial interest. The text is suitable for students or in-service users with a physics and calculus background at the sophomore level. These two volumes are intended to be used as textbooks at the senior or first-year graduate level by students from all engineering and physical science disciplines and as a reference source by in-service engineers.